Funeral services for George W. Woodyard, 75, Lawrence, will be at 1:30 p.m. Saturday at Immanuel Lutheran Church in Lawrence. Burial will follow at Oak Hill Cemetery in Lawrence. He died on Sunday, Nov. 7, 2010, at Lawrence Memorial Hospital. He was born on Nov. 18, 1934, in Charleston, Ill., the youngest of nine children of Lincoln and Iva Hanna Woodyard. He attended rural schools and graduated as salutatorian of his high school class at the age of 15. He moved to Lawrence with his family in 1966 from Champaign-Urbana, Ill.
Mr. Woodyard received his bachelor’s degree in education from Eastern Illinois University in 1954. He received his master’s degree in Spanish from New Mexico State University in 1955. In 1966, he received his doctorate in Spanish from the University of Illinois. He taught for several years in Illinois high schools, and served two years (1957-1959) in the U.S. Army as an English instructor. He was a retired professor of Spanish at Kansas University. He taught at KU from 1966-2005 as an associate professor and later as professor. While at KU, he served in several administrative positions. He was the assistant chairman of the Spanish and Portuguese department from 1971-1974. From 1974-1978, he was chairman of the Spanish and Portuguese department. During his career, he taught Summer Language Institutes in Guadalajara, Barcelona, and Santiago de Compostela. In 1978-1989, he served as the associate dean of the Graduate School. From 1983-84, he served as the acting dean of the Graduate School. In addition, he became the associate vice chancellor of research graduate studies and public service from 1980-1989, associate vice chancellor for academic affairs from 1981-1994, and the first dean of international studies from 1989-1996. He was designated as a professor emeritus in 2005. Mr. Woodyard was a member of the Lawrence Noon Rotary Club and Immanuel Lutheran Church. At the church, he was an active leader, serving several times as elder and president of the congregation. 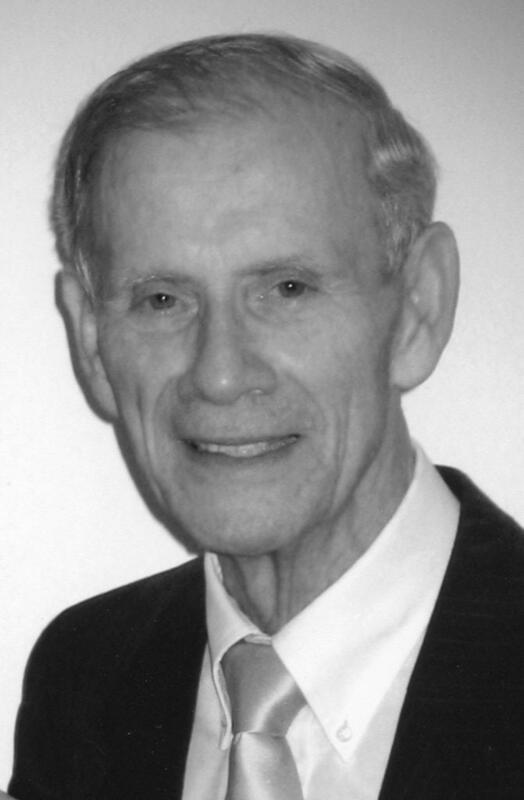 His civic accomplishments included his work in organizing and developing the first Sister Cities Committee for Eutin, Germany, and Hiratsuka, Japan; the Rotary Centennial Arboretum, near YSI in Lawrence; and his untiring work in raising funds as the president of the board for the Lawrence Community Theatre and its development. As director of the capital campaign for the Lawrence Community Theatre, he and his team were successful in raising funds for the new building. He was known worldwide for his pioneering work in the theater of Latin America, and he served 40 years as editor of a journal that he founded. His theater work was recognized with prizes and awards in Buenos Aires, Caracas, Bogotá, Mexico, Cairo and Miami. An international prize for playwriting is named for him. For years he participated on local theater boards, both at KU and at the Community Theatre. He married Eleanor Tendick on July 31, 1960 in Mount Pulaski, Ill. She survives of the home. Other survivors include four children, Shana Stuart and husband Scott of Iowa City, Iowa, Lance and wife Erika of Collbran, Colo., Devon of Cedar Crest, N.M., and Kenda Arendt and husband Al of Kansas City; and eight grandchildren, Kaela, Ryson, Darra and Logan Stuart, and Emma, Joseph, Rachel and Steven Woodyard; a brother, Thomas, of Riverton, Wyo. ; a sister, Ruth Young and husband Orville, Washington, Ill.; and one sister-in-law, Florence Woodyard, Charleston, Ill.
Four brothers and two sisters preceded him in death. The family will greet friends from 5 p..m. to 7:30 p.m. Friday at Immanuel Lutheran Church. The family suggests memorials to Immanuel Lutheran Church, the Woodyard Fellowship at KU, or the Rotary Arboretum, sent in care of Warren-McElwain Mortuary, 120 W. 13th St., Lawrence, KS 66044. Online condolences may be sent at warrenmcelwain.com.